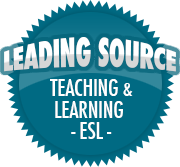 Why is Curriculum Mapping Important (Focus on Curriculum Part 5) | So, You Think You Can Teach ESL? It has been a bit busy these past few days in preparation for midterm exams and projects due next week. I’m sure you understand how busy that keeps me. In this series focused on curriculum, I want to talk about curriculum mapping – what it is, and why it is important. The curriculum mapping model based on Dr. Heidi Hayes Jacobs’s work (1997, 2004, 2006, 2008, 2010) clearly addresses the necessity to synthesize various models and create a framework that focuses on the recommendations, requisites, and desires that affect students’ learning and teaching environments. Udelhofen (2005) states “…the concept of curriculum mapping originated in the 1980s with the work of Fenwick English…” (xviii). Dr. Jacobs embraced and enhanced the earlier work by adding a variety of teacher-driven curriculum maps, horizontal and vertical alignments, cyclic reviews, and professional curricular dialogue. Jacobs (2004) states, “…curriculum maps have the potential to become the hub for making decisions about teaching and learning. Focusing the barrage of initiatives and demands on schools into a central database that can be accessed from anywhere through the Internet can provide relief … Mapping becomes an integrating force to discuss not only curriculum issues, but also programmatic ones.” (p.126). Curriculum mapping is the process indexing or diagramming a curriculum to identify and address academic gaps, redundancies, and misalignments for purposes of improving the overall coherence of a course of study and, by extension, its effectiveness (a curriculum, in the sense that the term is typically used by educators, encompasses everything that teachers teach to students in a school or course, including the instructional materials and techniques they use). It basically is how educators plan what subject content students will learn over the course of the year. In many places, it is done over a four to six-year plan, building off of content from one year to the next. It follows a logical, time-progressive order to give the students a well-rounded and comprehensive educational experience. Vertical coherence: When a curriculum is vertically aligned or vertically coherent, what students learn in one lesson, course, or grade level prepares them for the next lesson, course, or grade level. Curriculum mapping aims to ensure that teaching is purposefully structured and logically sequenced across grade levels so that students are building on what they have previous learned and learning the knowledge and skills that will progressively prepare them for more challenging, higher-level work. Interdisciplinary coherence: When a curriculum is coherent across multiple subject areas—such as mathematics, science, and history—it may be aligned both within and across grade levels. Curriculum mapping for interdisciplinary coherence may focus on skills and work habits that students need to succeed in any academic course or discipline, such as reading skills, writing skills, technology skills, and critical-thinking skills. Improving interdisciplinary coherence across a curriculum might entail teaching students reading and writing skills in all academic courses, not just English courses. Curriculum mapping is important because it allows teachers and administrators to focus on balance between the content across curricula. It allows them to look into each classroom and see what children learn, and helps them gather data on redundancies or gaps in the course content. Curriculum mapping also helps teachers and administrators assess the structure of the course, and the time-scale plan of when specific lessons or concepts are taught. One important thing to remember, curriculum maps are never considered “done”. They are an ongoing development seeking to improve student learning and content quality across schools. As long as teachers have new students, new classes, and new school years, the content and structure should be continually assessed and revised (if need be) to ensure students get the most out of their education, and for teachers to use the most effective strategies in their lessons. Jacobs, H. H. (1997). Mapping the big picture: Integrating curriculum and assessment K-12. Alexandria, VA: Association for Supervision and Curriculum Development. Jacobs, H .H. (2004). Getting results with curriculum mapping. Alexandria, VA: Association for Supervision and Curriculum Development. Jacobs, H. H. (2006). Active literacy across the curriculum: Strategies for reading, writing, speaking, and listening, Larchmont, NY: Eye On Education. Jacobs, H. H. (2008). Keynote presentation. Glendale, AZ: Regional Curriculum Mapping Conference. Jacobs, H. H. (2010). Curriculum 21: Essential education for a changing world. Alexandria, VA: Association for Supervision and Curriculum Development. “Curriculum Mapping 101”, retrieved from http://curriculummapping101.com/curriculum-mapping-general. Seen on March 20, 2015.